And that got me thinking: if I must use a transpiler anyway, why not choosing one that works with a better language? A language built to create rich web applications. Especially if you are already familiar with React/Redux. It’s a no brainer. Just use React Native. If you are a software development company and your client cannot afford native app, React Native is also a good alternative rather than Ionic. …ipt REPL and she wrote her first line of code (sort [“truth” “simple” “powerful” “learn” “happy”]). If an 8 year old can learn basic ClojureScript so can you. The goal of Rollup is to produce maximally efficient bundles that look like a human wrote them. 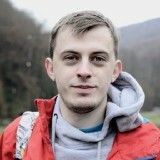 Tree-shaking is part of that, but there are other things Rollup does (or more correctly, doesn’t do) — it doesn’t wrap modules in functions, it doesn’t put a module loader at the top of your bundle, and it doesn’t generate the resulting code from an intermediate AST, but rather preserves your original code as far as possible. Because of that it’s a particularly good choice for writing libraries (it can be used for apps, though Webpack for example has a ton of features Rollup doesn’t, so YMMV), especially ones with few non-ES6 dependencies (though it can use CommonJS modules).